Please help me break free of overwhelming feelings of darkness that tear apart the good You want to bring into my life.. I want to walk in the light of Your beauty and truth. 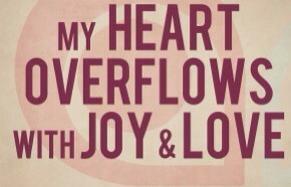 Thank You for Your great love that overflows and empowers me to be a better person.. It is my prayer that Your love inside of me will increase and overflow..
Thanking You for Your goodness, mercy and hope..